Have you ever looked at your baking supplies and wondered what to do with 1/2 cup of this flour, or a little of that flour? I was confronting that dilemma when I found a recipe for oatmeal bars. With all of the rolled oats and other textures, no one would notice that I had a flour mixture added in. I also decided that they would be tasty for breakfast, snack, or dessert, so they were winners. 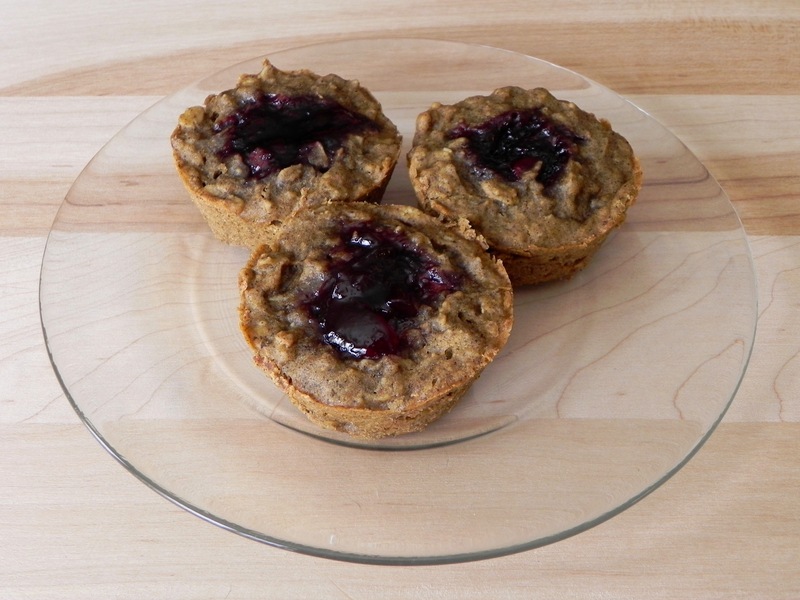 To adapt to high altitude and dryness, I reduced the baking soda and added non-dairy milk to the recipe. To make them vegan, the easy swap was using oil in place of butter. The original recipe had packaged caramels as an ingredient which are generally not vegan, so I left them out and used jam instead. 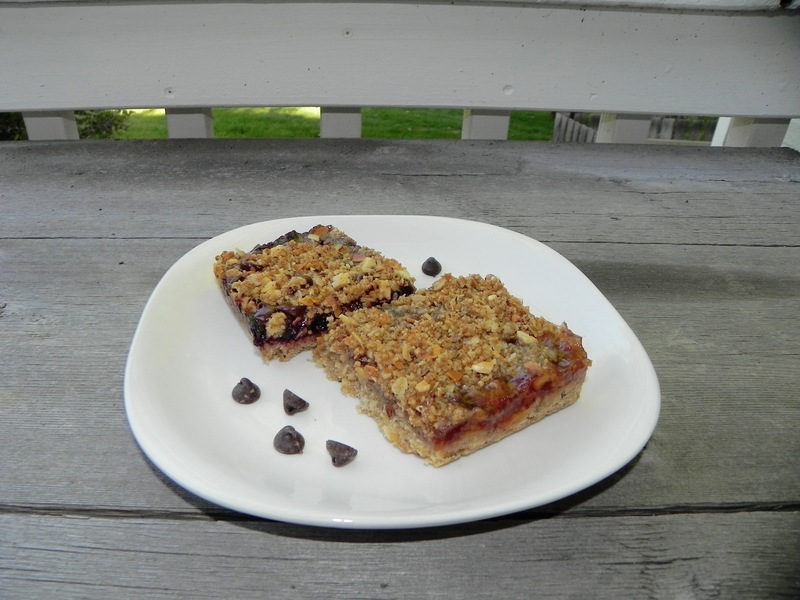 My final change was to make more of a crust layer underneath, thus creating a sturdier and less sweet bar. Preheat oven to 350F. Grease the bottom and sides of a 13″ x 9″ pan. In a bowl, add flours, oats, brown sugar, baking soda, and salt and whisk to combine. Add oil and milk and stir until crumbly. Reserve half of the crumb mixture for topping. Press remaining crumb mixture in the bottom of the prepared pan. Spoon jam to the edges of the crust in the pan and sprinkle chocolate chips over the jam. Sprinkle with reserved crumb mixture evenly to coat. Bake for 20 to 25 minutes or until light golden brown and bubbling around the edges. Cool for 1 to 2 hours on a wire rack or until completely cooled. Cut into bars, then store covered with foil at room temperature. During any given day I collect a handful of recipes. They cover baking, main dishes, salads, beverages, and the like. Besides the 100 or so cookbooks I have, I must have thousands of recipes on my computer. I may have an addiction. But, when I am looking for ideas for a new creation I can always find something. 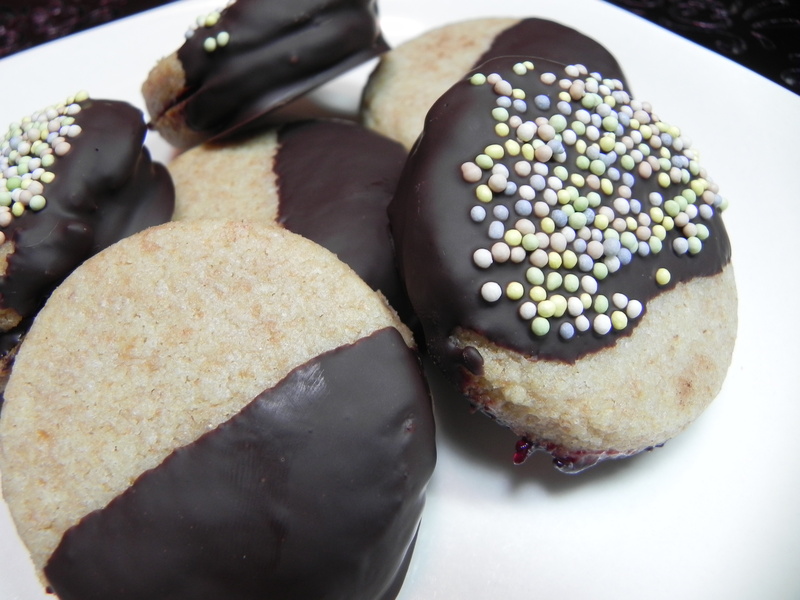 Take today’s recipe – it’s an unusual cookie recipe as it contains no flour or leaveners. But for a quick breakfast cookie or snack, it works great. I changed the original recipe to account for dryness at altitude by adding milk. Then I decided that it needed a little more depth of flavor. I included a bit of brown sugar, and also used peanut butter with the jam. 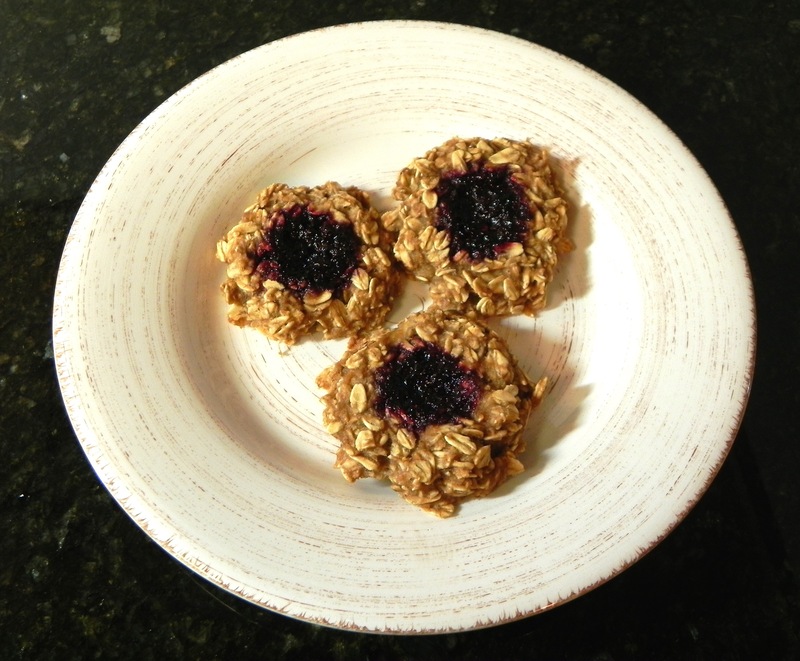 So, with a few ingredients I usually have on hand, I created an easy homage to a thumbprint cookie that’s gluten-free, too. A winning combination. Preheat oven to 350F. Mash bananas in a bowl. Mix in applesauce, vanilla, milk, cinnamon, and brown sugar. Stir in oats and let sit for 5 minutes so oats can soften. Prepare a cookie sheet with parchment paper. Drop dough onto sheet and flatten cookies into rounds, making about 18 cookies. Use the back of a spoon to create an indent and fill with a small amount of peanut butter with jam on top. Bake 18-20 minutes or until golden. Remove from oven. Cool before storing in airtight container for 1 week. My husband said, “bring on the chocolate,” so I did. I decided to make chocolates, which sounds scarier than it actually is. If you have the right equipment, making chocolate candies is as easy as melt-and-pour. The hard part is picking a flavor combination. This is a no-bake vegan recipe, great for a hot summer’s day. 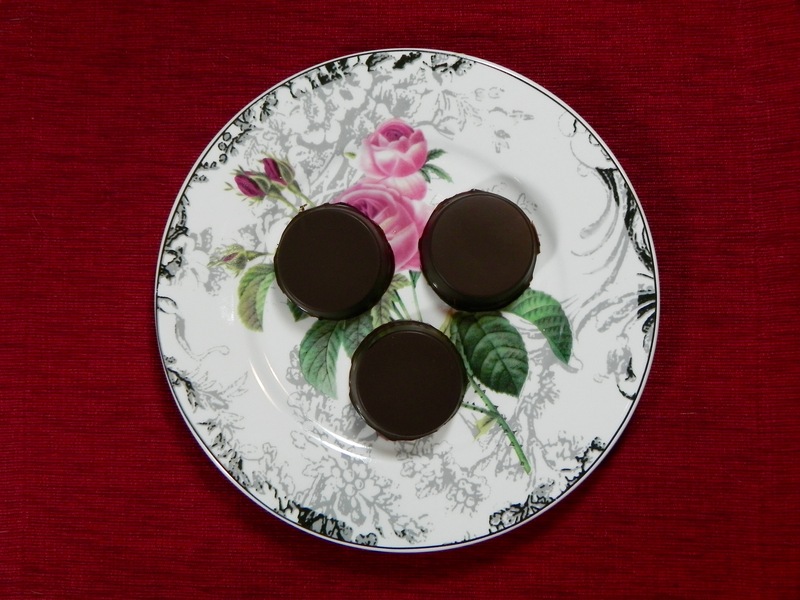 It’s simple to do if you have the proper equipment: a silicon mold so you need not fuss with chocolate tempering, a silicon brush for the cleanest way to coat a mold, and a double boiler (or a small pot and a metal bowl that is large enough so its bottom doesn’t touch the water when it sits on top of the pot). For this decadent and elegant dessert I chose chocolate cups filled with raspberry and a hint of chipotle. Raspberry is fantastic paired with the notes of dark chocolate, and adding the chili gives the taste buds a slight zing. Boil a pot of water on the stove, then lower the heat to medium. Place the chocolate in the top of the double boiler and put it over the water. When the chocolate is melted, pull it off the heat making sure you get no water in the chocolate. Dip a silicon brush in the melted chocolate and fill in the mold cavities halfway, including up the sides. Put mold in the freezer for 20 minutes to set. Remove mold from the freezer and place a teaspoon of jam into each cavity. Heat a pot of water to boiling, again. Re-melt the chocolate in the top of the double boiler. Remove from heat and stir in chipotle powder. Let the chocolate cool but not completely – you want it to be pourable. Pour the chocolate over the raspberry jam to fill each mold. Do not over- or under-fill the molds or it will be difficult to remove the candies. Put the mold in the freezer for 20 minutes more. Remove from freezer and carefully pop candy out of molds. Makes 6 chocolates. This recipe was inspired by a trip to the farmer’s market. I purchased several jars of unusual flavored jams but couldn’t figure out what to do with them. 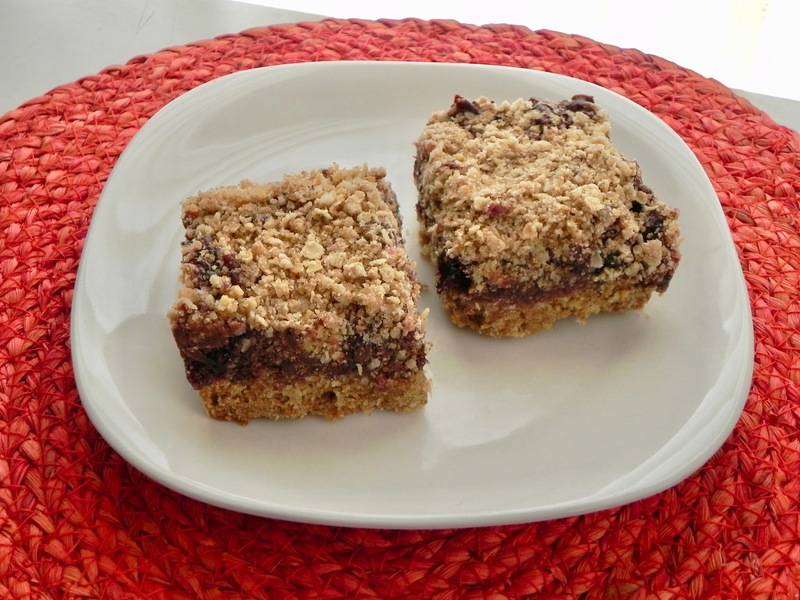 Then I decided that I could incorporate all of them as a distinct filling for oat bars. I found a recipe that was already vegan, so I only had to add a few modifications. To increase flour for high altitude and give more protein for structure, I swapped out a small amount of flour for almond flour. For health benefits, I used coconut sugar instead of some brown sugar. Now the fun began – playing with flavor combinations. I used 2 oz each of seedless marionberry, elderberry, wild cactus, and rose petal jams. When I added the marionberry and elderberry jams, I sprinkled only those flavors with chocolate chips. With the wild cactus and rose petal jams, I sprinkled them with cardamom before adding the topping. So grab all of those partially eaten jars of jam from the fridge and get started. Toast oats and almonds on separate pans in 350F oven for 8 minutes. Remove from trays to cool. In a food processor, pulse together cooled oats, flours, flax seed, brown sugar and margarine until just mixed and crumbly. Reserve 3/4 cup of crust mixture and press remainder firmly into the bottom of an 8 x 8″ pan that has been lined with non-stick foil. Bake at 350F for 15 minutes. While the crust is baking, warm jam in a hot water bath made by heating a small amount of water in a large pan and gently warming the jars of jam. When the crust is out of the oven, spread sections of jam across the crust. To make the topping, pulse the toasted almonds in a food processor along with the reserved crust mixture, coconut sugar, and salt. Sprinkle topping and chocolate chips over jam and press to adhere. Bake at 350F for 25 minutes or until filling is bubbling and topping is browned. Place on a rack and cool completely. Use foil to remove from pan and slice into bars. Store in an airtight container. I ran across a recipe for shortbread and thought it sounded good, but a tad boring for this chocoholic (you must have realized by now that I have a passion for chocolate). Let’s see… raspberry jam, chocolate, sprinkles… now we’re getting somewhere. To adapt them to high altitude I added flour. I decided to use a shot glass as a cookie cutter to make a more suitable size for sandwiches. After I concocted a chocolate dip I was set. These cookies are more labor intensive than the average cookie I bake, but they appealed to my creativity. After I tasted them they appealed to my stomach, too. Sorry, there were none left for the freezing experiment. Preheat oven to 375F. Line baking sheets with parchment paper. In a food processor, combine sugar, margarine and cream cheese, and process until smooth and well blended. Add flour and baking powder and pulse until well combined. Do not overmix. Put in a bowl and place in the refrigerator for a few minutes. Transfer the cookie dough to a flat work surface between two sheets of parchment paper. Roll out the dough to 1/2″ thick. Using a shot glass, cut the cookies and put them on the prepared baking sheets. Bake until golden, for about 12 minutes. Cool on the cookie sheets then remove to a wire rack to cool completely. Place the chocolate chips and shortening in a small saucepan on low heat. When melted, stir and remove from stove. Take a cooled cookie and place a small amount of jam on the underside. Top with another cookie to form a sandwich. Dip half of the sandwich in the chocolate sauce, decorate with sprinkles, and place on a sheet of waxed paper to set. You can leave some cookies un-dipped or un-sandwiched or un-sprinkled. Or you can fully dip them and coat them with sprinkles. Let your imagination run free. They will all be delicious.